For more on Kate Barr and why she wants to rip apart your job description, check out Pollen’s feature story. 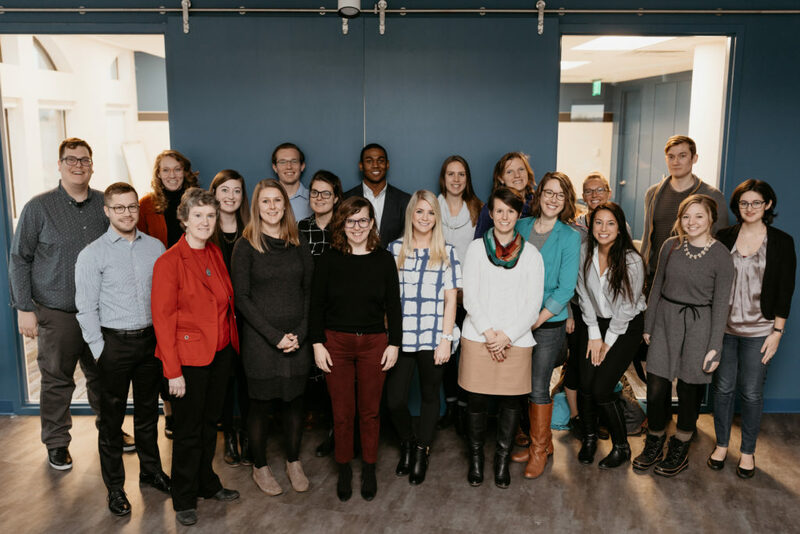 A few days after the first major snowfall in Minnesota, young professionals from all over the Twin Cities trickled into the new Propel Nonprofits office for the monthly YNPN Twin Cities Leadership Breakfast. 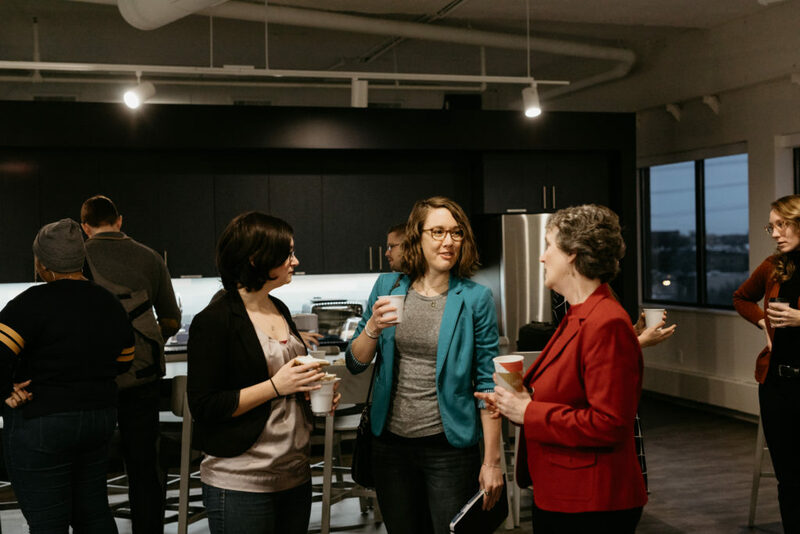 As participants entered the office, they were greeted by the views of the Mississippi River and the downtown Minneapolis skyline, the smell of toasted bagels, and the warm and welcoming presence of Kate Barr. In a cluster of neutral colors, donned by the breakfast participants, Kate moved around the room in a bright, red blazer, introducing herself to each person and thanking them for coming out. Kate Barr currently serves as the president and CEO of Propel Nonprofits, a position that came after an incredible career path filled with appreciation for every opportunity. 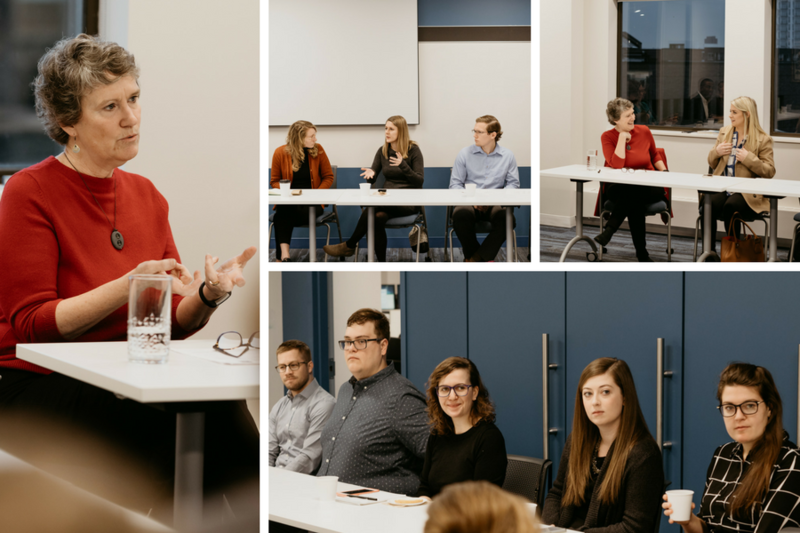 In the early morning conversation, Kate Barr detailed the steps to her current job while also giving great career advice for the young people in the room. To kick off the breakfast, Kate began by reflecting on her journey to Propel Nonprofits. 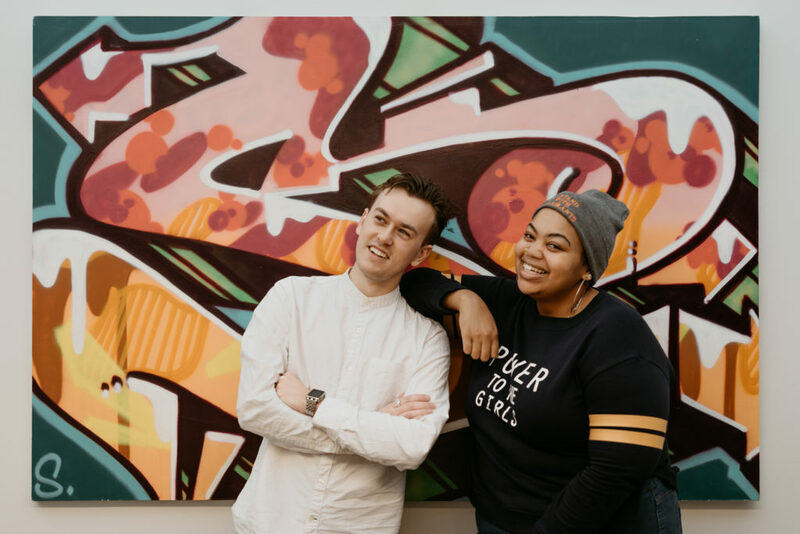 Filled with unlikely careers and void of traditional timelines and pathways, Kate outlined her nonlinear and exciting journey, beginning with her start in administration. That lucky break was working for a dance company as a receptionist. 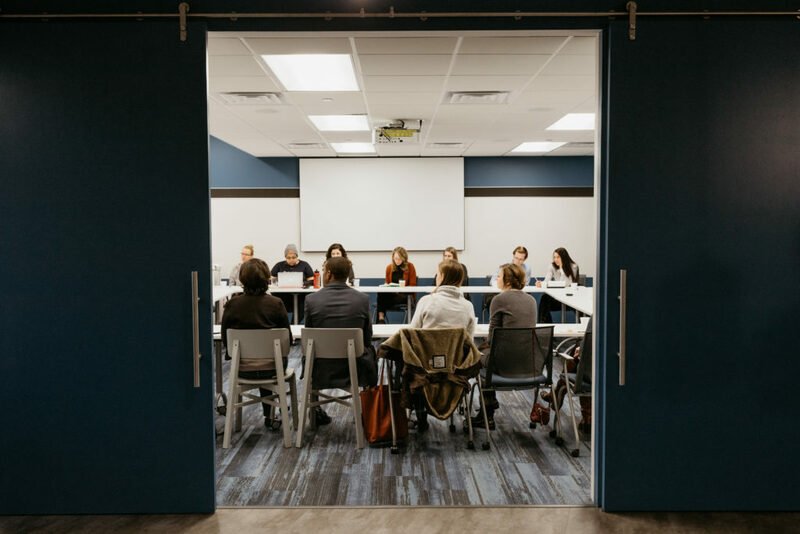 Many of the breakfast participants raised their eyebrows and had shocked looks, skeptical to how a dancer and receptionist transitioned to the head of a nonprofit. After working as the business manager, and getting paid sporadically or not at all, Kate decided to leave the dance company. As Kate continued her story, she detailed one of the most important lessons she learned in her career journey. Over 22 years working for Dave, Kate worked at two community banks, had every job you can possibly have in a bank—opening new branches, buying the furniture, working with customers as a teller—and never had the same job for more than two years. She didn’t know how to do everything, but she was a constant student, always yearning to know more. In her late 30s, she decided to act on that love of learning and apply to law school. After meeting with a friend who was an attorney, Kate decided she didn’t want to go to law school and that there were more ways to learn things. At the same time this was happening, the community banks she worked at were sold to larger banks, and Kate was unhappy at her job. Kate paused and let that sit with the participants, who were all nodding their heads in agreement. She quit working for the bank and, because she no longer wanted to be a banker, had a career crisis. During her time off in 2000, two friends sent her the same job. 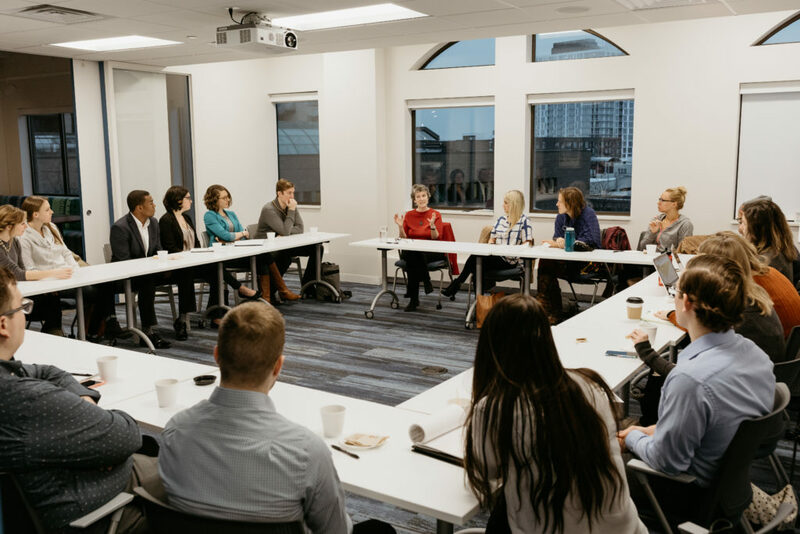 To end the breakfast, Kate Barr took questions from the young leaders, many of which focused on managing up, change, and the generational divide in the nonprofit sector. One participant raised her hand and spoke about the difficulty of being in an entry level position. “Many of us are starting out and we’re young, and I know many of us are not in the highest positions. 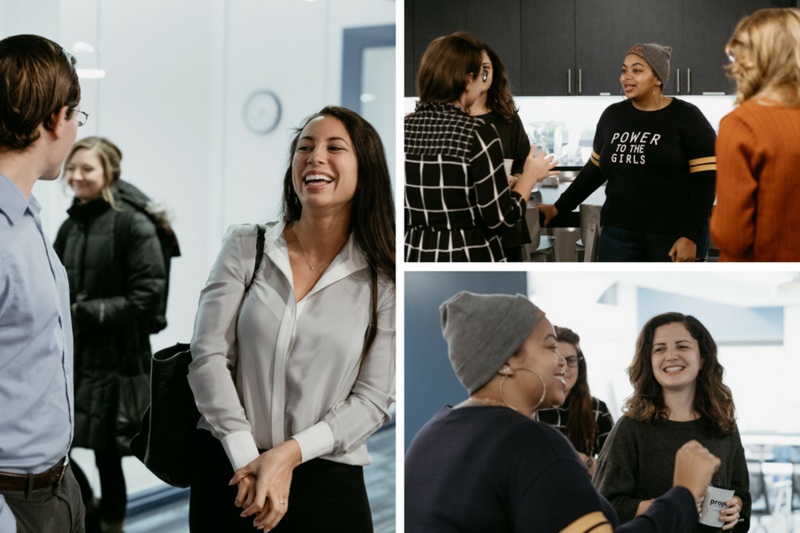 Do you have any advice on managing up and encouraging us at our organizations?” Kate paused to reflect, then listed steps for the young professionals to take. As the breakfast came to an end, another participant asked about advice working for a nonprofit as a millennial.